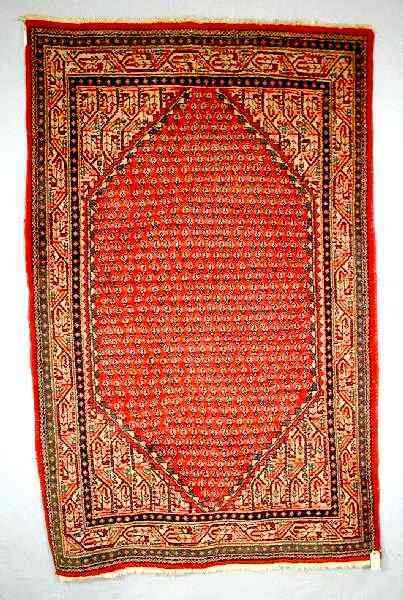 Seraband rugs are from south of the Malayer area and south east of Arak and southeast of Borujerd. 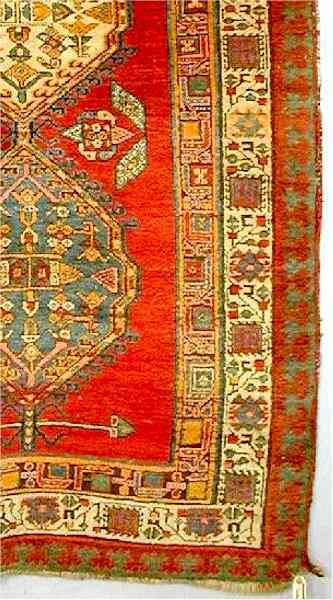 The rugs are gennerally symetrically knotted and double wefted. The shekeri main border we see here is typicaland is derived from a classic tendril border. 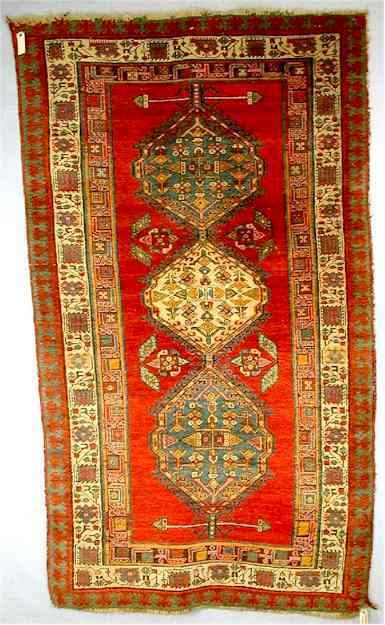 Northwest Persia about 1900-20. 13ft.3in. x 5ft.8in. 4.04m. x 1.73m. Overall uneven wear, heavy down middle. 6ft.7in. x 4ft.3in. 2.01m. 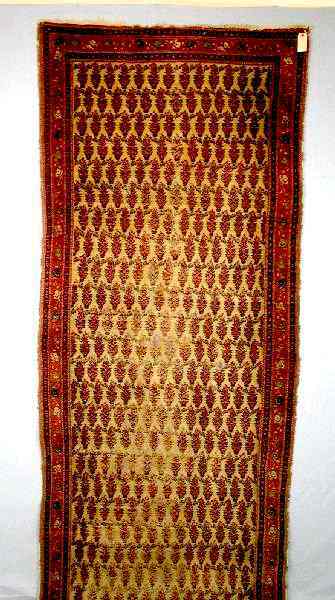 x 1.30m. 14ft.5in. x 2ft.8in. 4.40m. x 0.81m. 13ft.5in. x 3ft.6in. 4.09m. x 1.07m. Uneven wear. 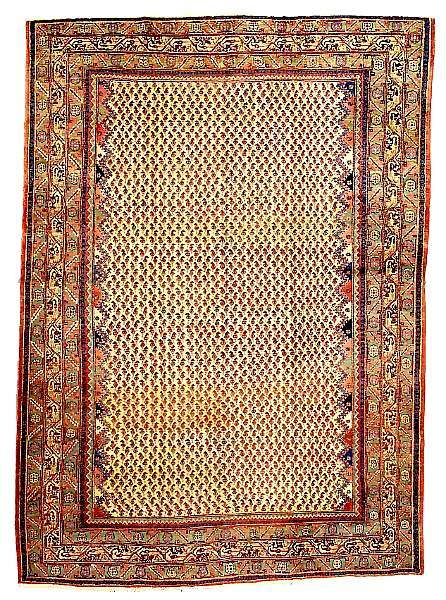 The unusual border pattern, the rich color and the style of 'floriated' boteh all suggest that this is an unusually early example of a famous design type. Northwest Persia, circa 1900. Approximately 8ft 7in x 12ft 2in. 6ft.7in. x 3ft.10in. 2.01m. x 1.17m. Old. 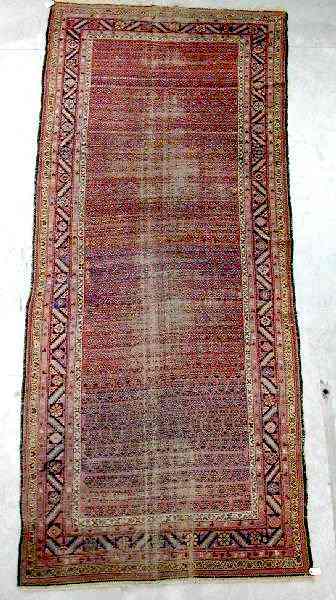 400 x 90cm. Hooked diamonds.